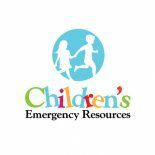 STUART – The Martin County nonprofit 501c3 Children’s Emergency Resources (CER) has begun a new program in cooperation with The Martin County Library System. The idea was developed by Dale Hoffa, Chairman of the CER Board. Childrens Emergency Resources Month capped by CER Golf Tournament on April 17 2010. March 17, 2010- Watch the County Commission declare it “Children’s Emergency Resources” month.